Retrofitting can give you better distribution and performance while cutting down on your expenditures in numerous ways. If you’re wondering whether this could be the right way to go for you, take a moment to consider these points. Simply put, this is the process of switching some of the components in your existing fixtures and replacing them with newer and more energy-efficient alternatives. Unlike a redesign, this process causes only minimal disruption and is cost-effective because it doesn’t involve scrapping the system. If your property is less than 10 years old, there’s a good chance you already have the most modern and efficient options installed. Recent changes to regulations have halted the use of older fluorescent and incandescent lights in favor of LED and CFL alternatives. If your facilities are more than 10 years old, however, you’re probably still using outdated technology. If you haven’t upgraded your lights to one of the current standards, you’re probably spending too much on your electric bills. Modern bulbs use only a fraction of the energy, and they offer a substantially longer life span under most conditions. This means you’ll spend less on using them and less to replace them. You also may be able to take advantage of incentive programs and tax rebates from the government for adopting energy-efficient options. Would You Like More Control Over Your Lighting? Advancements in LEDs mean users have almost limitless options when it comes to the color temperature, intensity and brightness of their lights. You can install them in your space and change the lighting to match different times of day or tasks. If your space has a lot of available daylight, for example, you can dim your lights to save additional energy. Are You Unhappy With Your Current Lighting Scheme? 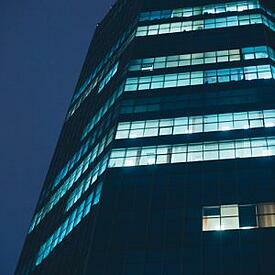 If you have areas of your building that don’t get sufficient light, a retrofit may be the answer. Upgraded fixtures can provide brighter and more focused illumination to better serve your needs. You can enjoy increased productivity and enhanced safety as a result. A retrofit can do a lot of good for you and your bottom line. Give this upgrade some serious consideration and reach out to trusted professionals such as Litetronics to help guide you through the process.